I want to share one of my favourite patterns with you. It's free, it's brilliant, and it's the perfect launching-off place for all kinds of creativity. 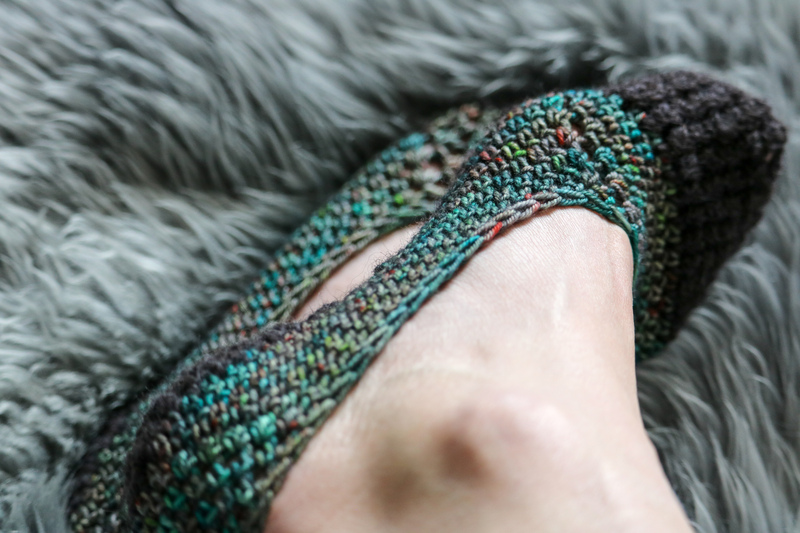 It's a Mary Jane slipper pattern from a little blog called "The Little House by the Sea." First off, I love going barefoot. When I was a kid, I was barefoot all summer, rain or shine. But living in Canada, my feet need a bit of support in the warmth department. These Mary Jane slippers are perfect for hugging my feet, not slopping around, and giving me just that little bit of extra warmth without suffocating my feet. 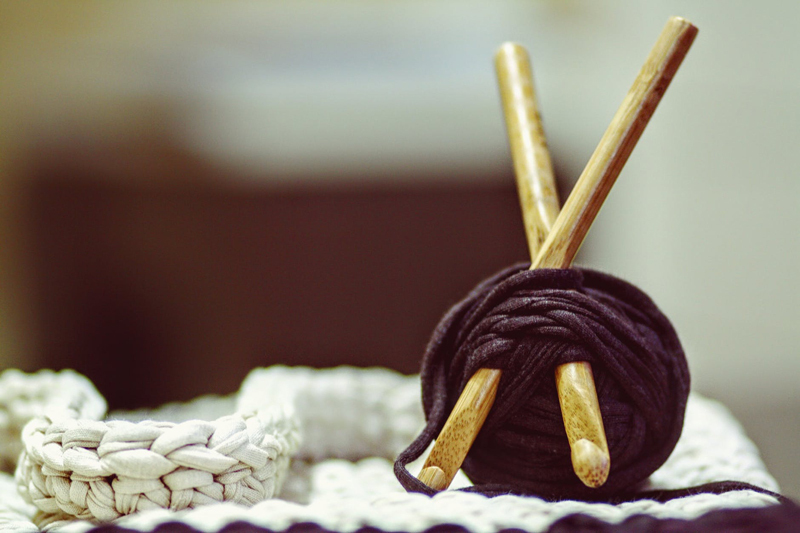 The pattern is made entirely in single crochet, although she uses British terminology, which calls the American SC a double crochet. Just keep that in mind as you read the pattern, or you'll be making slippers for Big Foot! I especially like the way she has designed the toe cap and sole of the slipper. I've actually made the toe cap and sole and sewn them onto other slippers, to give added reinforcement, warmth and structure. The heel is also well-designed, with reductions at the sides rather than the centre, where the ankle shape actually calls for contour. 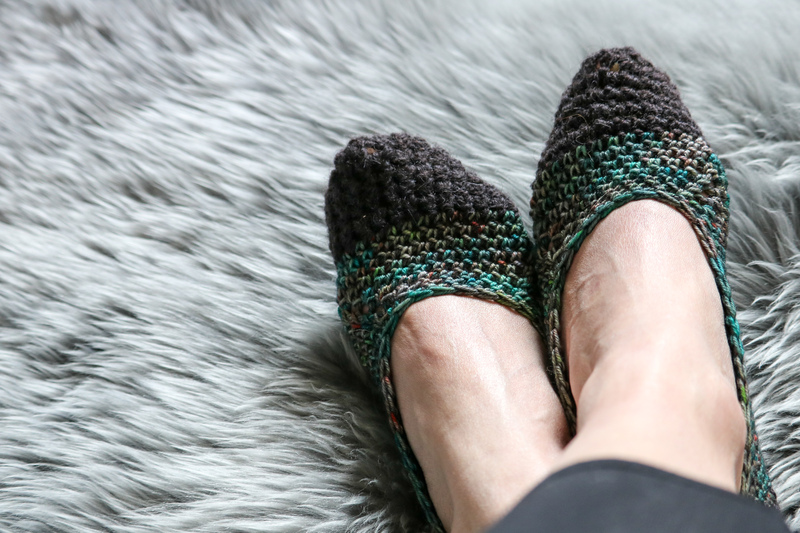 The designer is very clear that she does not want this pattern to be used for items you make and sell, while I have made probably 20 pairs of slippers using this pattern, I stick to giving them as gifts to friends I love well enough to crochet gifts for. I've made them in all kinds of colours, using one colour for the sole and another for the upper, or creating a border like she demonstrates in the pattern. I have to say, I've never made them using the strap. But I often place buttons where they will sit just over my pinky toes. It's a beautiful way to add character and to differentiate left and right, although the slippers are otherwise identical. 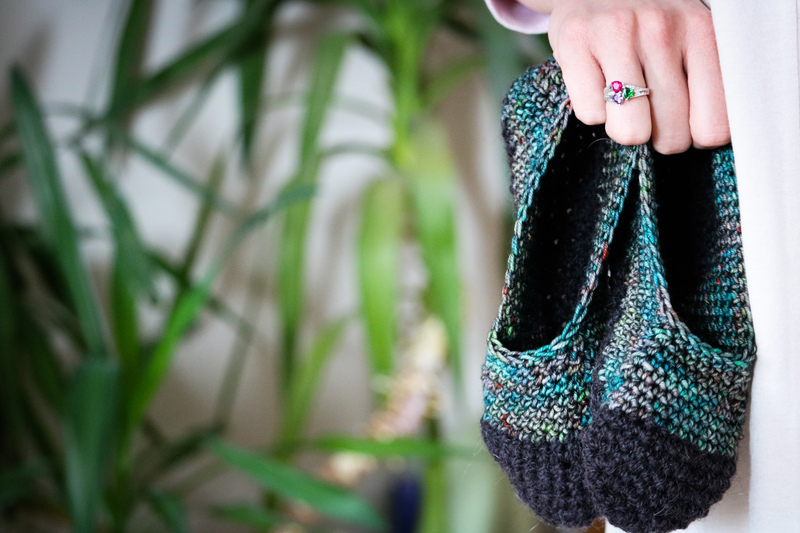 For this article, I made the pattern using my own handspun yarn for the toe-cap and sole. It's a Lincoln-romney wool from a friend's sheep, and it's super durable, making it ideal for the parts of the slipper that need to be strong. 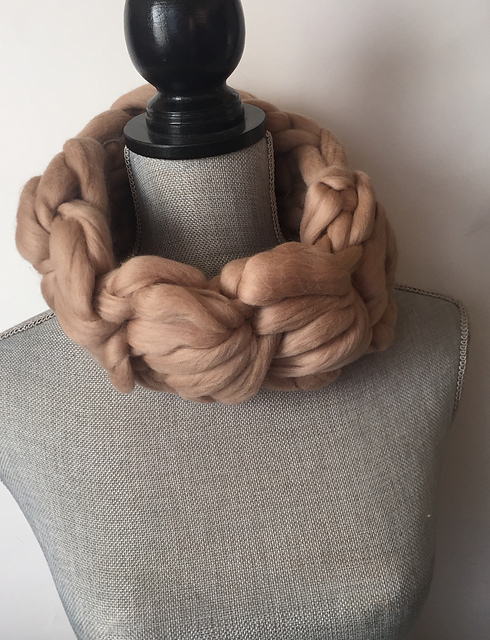 The upper is made using Neatnik Yarns worsted weight merino in the Dusty Boots colour way. I love the way the colours melt into one another. Have you made these slippers before? Drop in on the forum or the Facebook page and let me know what you thought. I'd love to see how you made them uniquely yours! Content copyright © 2018 by Holly Messenger Aamot. All rights reserved. This content was written by Holly Messenger Aamot. If you wish to use this content in any manner, you need written permission. Contact Holly Messenger Aamot for details.